The Czech Republic is the heart of Europe. No wonder it appeared on your list of countries to visit on the old continent. It is a small country, not exotic, but it has many natural and cultural treasures. Knowing them in advance means you can spend your traveling time efficiently and get the most out of it. That is why we decided to give you an overview of our favorite places. We are the Northern Hikes. 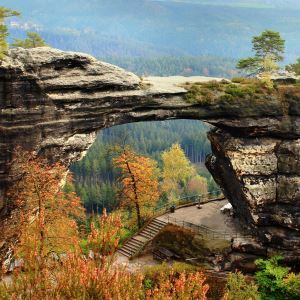 We love the North of the Czech Republic and will be happy to give you the best tour ever in Bohemian Switzerland. But we admit that we love other parts of our country too. Here are 20 reasons why. 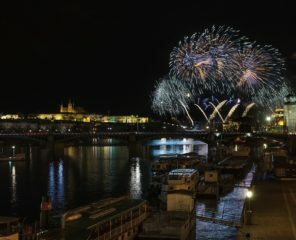 The capital, the city of 100 towers and the reason why most people come to the Czech Republic. You will find loads of tourist information about it online. Insider tips? Check out the picturesque “village” near the Prague castle, Novy Svet. Have a coffee or a swing at the secret playground (if you find it). Buy the green guide, full of great places to eat, drink and shop. Pay a visit to Vysehrad, a smaller and tourist-less version of the Prague castle, and take rare pictures of the famous city dominants from a totally undiscovered angle. Instead of the expensive boat trips, just take the ferry HolKa for the price of the regular tram ticket. 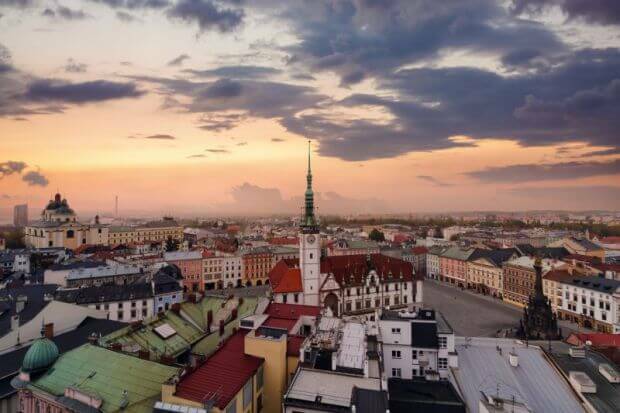 It will take you from Holesovice to Karlin, both young, lively quarters worth a visit. Or try one of the e-bike Prague tours and save your leg muscles for the hiking trip to Bohemian Switzerland. 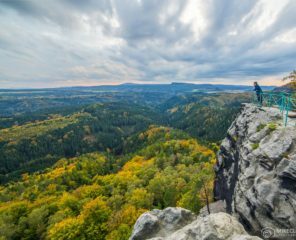 The youngest national park of Czech Republic, one of the last wild, undiscovered places in Europe and yet perfect for a one day tour to the nature from Prague. Come for the greatest sandstone canyon in Europe or for the biggest sandstone arch in Europe. 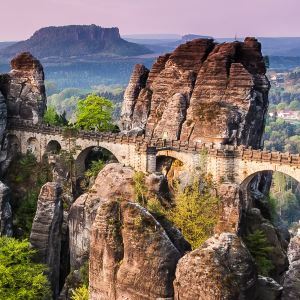 For the incredible rock formations lining the Elbe River valley or the table mountains. 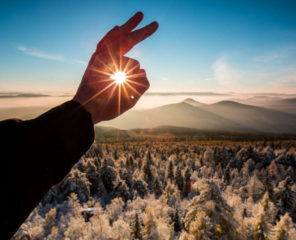 It is worthwhile and hike-able in every season and we guarantee you that you will have one of your best Czech experiences. 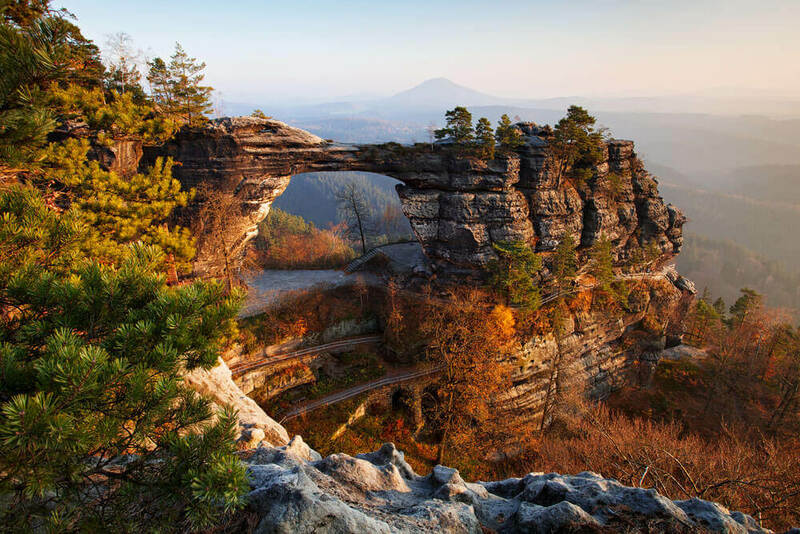 The “capital” of the Bohemian Switzerland National Park. A town with a history of prewar noble society. Although the region is on the economic and cultural rise, you can still find a few stunningly beautiful, but devastated, “ghost-townish” places around here. Accept the challenge of the favorite Via Ferrata right in the middle of the town. Climb one of the 14 routes of various difficulty while enjoying the scenery of the 2nd largest castle complex in Europe with the famous rose garden. There are two fine burger places under the Via Ferrata. One of them, Karls Grill bar, usually has some tasty local micro-brewery beers on tap as well. The local micro-brewery Falkenstejn, brewing the best beer of your life. Combined with the good food in their restaurant and a comfortable sleepover (they have a few modern rooms to let in the house) it is a candidate for a very pleasant weekend stay. The Self-service meadow bar in Kamenna Horka – an open-air bar on a meadow behind the town where you can help yourself to a cold Falkenstejn beer or brew yourself a cup Bohemian Coffee House coffee and even pitch a tent for the night. Just don’t forget to leave the money in the little iron box. A fairly unique and new recreational spot, created during the revitalization of the mining region. Situated near the big post-industrial city of Usti nad Labem and under the Krusne Hory, the 4th largest lake in the Czech Republic is becoming a favorite place to practice all kinds of water sports. And not just the traditional ones like swimming or yachting, but also quite unconventional like the night fish watching from paddle boards. Harsh and beautiful at the same time, with the windy upper plains that get white with frost in the winter and make you feel like traveling to the North Pole. The mountains, like most Sudetenland regions, have a complicated past, which, together with the dark mining history creates a specific atmosphere. It is not for everybody, but once you let it in your heart, it will stay there. Practical advice? Definitely try the lift from Krupka up to Komari Vyska. It is one of the longest in the Czech Republic. Mountain bikers love the downhill routes in the region. For relaxation and culture, visit the famous Teplice spa or the baroque castle in Duchcov. Recognizable by the sharp spikes of the post-volcanic hills, jumping quite suddenly from the wide plains stretching to the north from Prague. One of the first regions with the history of human settlement. Ideal for a “Tour de viewpoints” with the many high hills like Lovos, Milesovka, Radobyl, Oblik or Sedlo, some of them with ruins of medieval castles at the top. 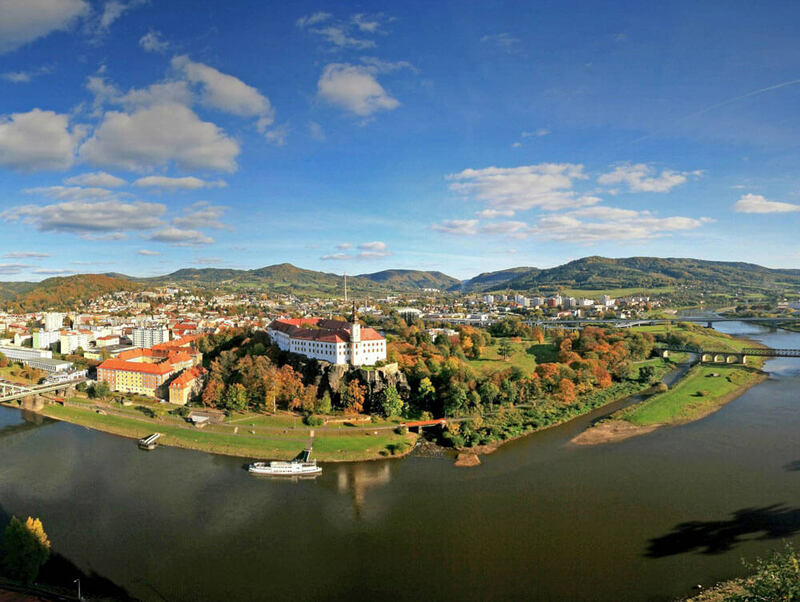 It ends with Porta Bohemica, a majestic natural “gate” to Bohemia towering above the wide manger of the Elbe River. You can include Litomerice in your Elbe Cycle Route bike trip. Have good coffee and cake at the “Kava s parou Café” to make you strong enough for the Terezin experience. Terezin is a museum of the 2nd World War concentration camp, one that really used to be there. The pictures you will see and the stories you will hear are quite unsettling, but still a true part of Europe’s history. Everyone should visit just to know. The land of wild forest and marsh. Healthy, fresh air with the iron taste from the precious peat that used to be “mined” here, but is protected today. Sumava offers many winter sports possibilities, but it is best for hiking. Any time of the year is good. Among the highlights belong the actual virgin forest Boubin, but also the glacial lakes Cerne, Certovo, Plesne or Prasilske. Climb the Polednik mountain and get your head turned by the 360° view and visit Dobra voda to see how people lived 100 years ago. There live actual hermits in the deep forests of Sumava, so don’t startle if you bump into one of their huts during a daring night hike. Just leave them alone, they live here because they enjoy the solitude. One of the places you shouldn’t miss when you visit the Sumava region with the kids or just want to have some proper summer water fun. Spend the day in Horni Plana or on the Windy Point sand beach with all the imaginable service. Or go to the right banks of the lake where the beaches are smaller, more natural and quieter. Lipno is the largest water surface in the Czech Republic, so it is even fit for proper windsurfing, yachting, motor-boat riding etc. 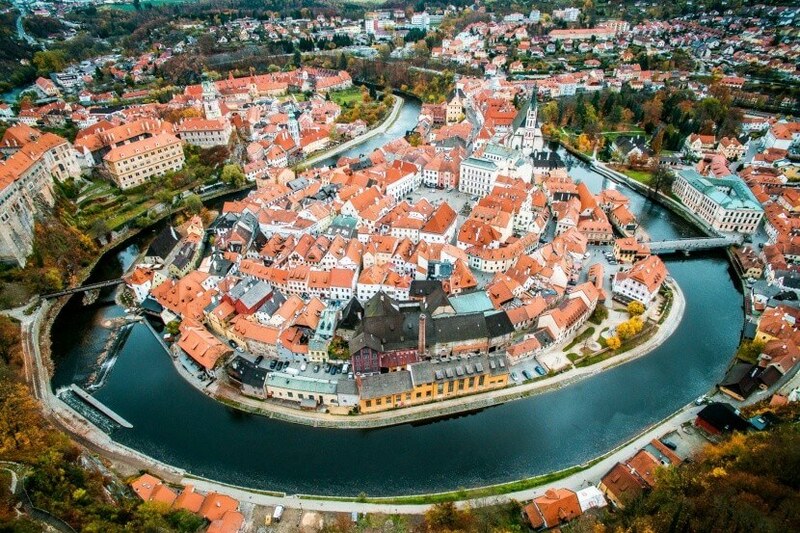 A uniquely preserved medieval town with picturesque little houses, crooked streets and incredible, 180° curves of the Vltava River that divide the town into several half-islands. Most people come for the historical atmosphere. They stay in the many sweet little guest houses or luxurious hotels, and basically just eat and drink through the day in the local cafés and restaurants. You will get lost a few times until you climb up to the castle and get the overview from the incredibly beautiful castle tower or the castle gardens. Just make sure to book your accommodation in advance as the place is crammed full all year round. Take your ukulele along for this educatory tour with the scenic views high above the Vltava River. You will find out about the history of the famous Czech river, featured in one of the most beautiful musical compositions of the last century – the “Ma vlast” by the genius Czech composer Bedrich Smetana. The region is a typical habitat for “tramping”, a peculiar Czech tradition of outdoor camping in specific settlements built along rivers. If you manage to blend in, the ukulele will come in handy. Be careful though, as the steep paths are slippery and narrow at some points. Only one hour from Prague. Karlstejn draws the crowds up till today, as it was built by the glorious Czech Emperor Karel IV. with the intention to accommodate the royal treasures including the crown jewels. It is said that Karel IV. was a spiritually advanced king and had many insights into hidden wisdom. He honored the legend of the King Arthur and even had his own roundtable installed in the Chapel of the Holy Cross at Karlstejn. A tiny, cute copy of our beloved and monumental Bohemian Switzerland. Also a sand rocks region, but way smaller and widely known, ergo crowded throughout the year. 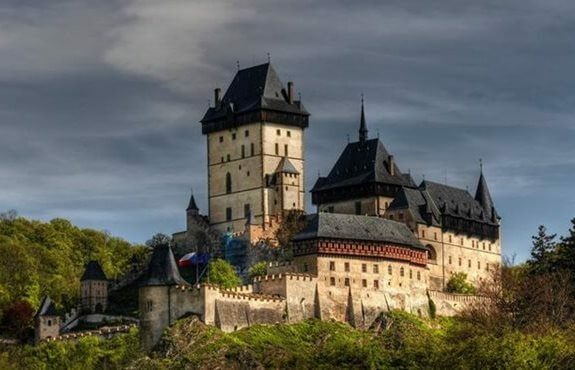 You will want to visit Hruba Skala castle and take the “Golden path of the Bohemian paradise”, a tour along the best viewpoints of the region. 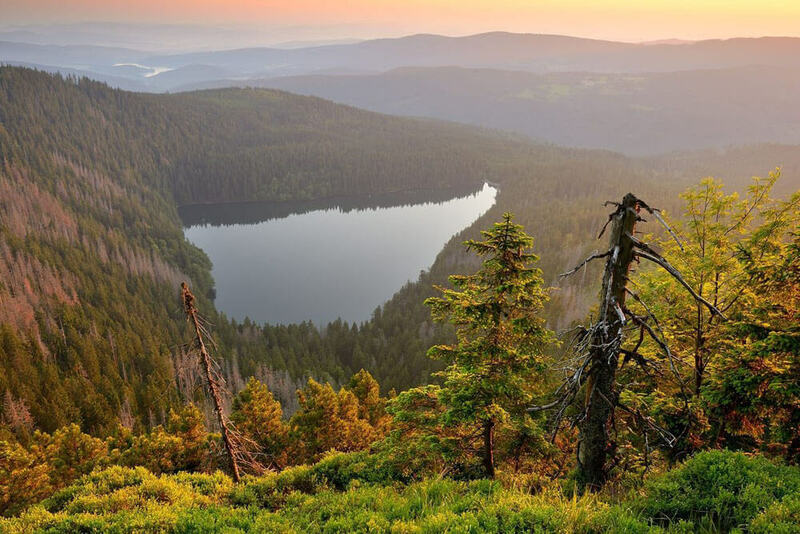 Bohemian Paradise is situated in the landscape under the biggest Czech mountains, the Krkonose. The name gives away what the hiking in this region will be like. The Giant Mountains are the Czech Alps. With the typical vegetation, the high altitude air and the long wooden poles along the trails for you to find your way when the snow covers everything else in the winter. Hike to Snezka, the highest peak (1602m) of the Czech Republic and post a card from the unique local post office. 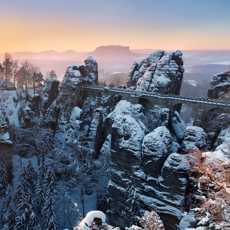 Visit the origins of the Elbe River, the one that carved the monumental canyon we wrote above. Learn about the local glass craft tradition and visit the Museum and brewery at the same time in Harrachov. Have respect though, when visiting in the winter, so you won’t end up like Hanc and Vrbata, the two friends who died tragically in a snowstorm during a ski competition in 1913L. These are real mountains, not a kids playground. Holasovice is on the Northern Hikes’ founder, Vitek’s, wish list. Believe it or not, he has never been there. When asked why he admits, that although it is considered (and UNESCO listed) to be one of the most beautiful villages in the country, he has to gather the strength to be able to stand the flat countryside around it. Well, some people simply like it hilly. 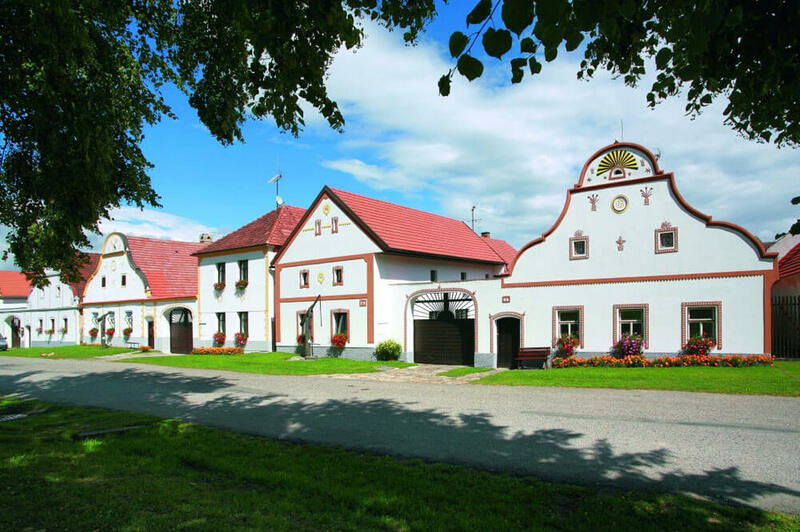 Holasovice is a rare example of the so-called rural baroque – specific architectural style of the 19th century. This is where the sweetest and biggest crafts festival takes place. For over 20 years all craft lovers gather here to show what knowledge is left from the good old times. In 2018 there were around 250 folk artists and the number gets higher every year. A mountain and spa region in the north-eastern part of the Czech Republic. Know the famous Czech healer Vinzenz Priessnitz? No? Well, if your grandma ever helped you from nasty flu by making you a wet pack on the neck, then you have experienced a “priessnitz” treatment. 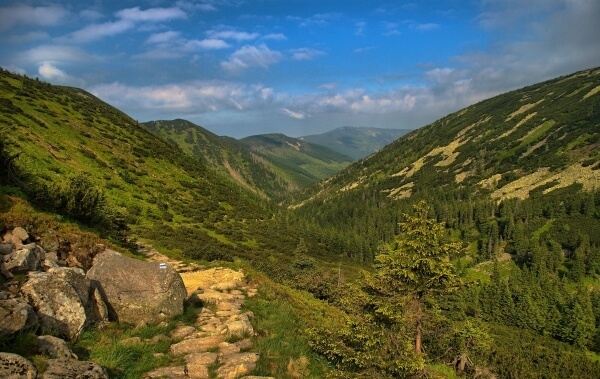 Jeseniky is also a favorite destination for its deep forests and hills (the highest, Praded, has the respectable 1491 m) with hundreds of marked hiking and cycling trails. The loveliest Moravian city. Although it is almost too harsh to use the word city here. Everything and everyone here is almost “village-like” nice, though the size of it and the fact, that it accommodates one of the largest czech universities actually really make it a city. The combination of the historical architecture, the nicest people in the World and the insane amount of the university students (around 25.000) create a unique atmosphere that will make you feel at home. A mystique, forest-covered countryside just 40 km from Prague. The wealthier citizens of Prague like to have their summer homes here. It provides the soothe and the calm of nature without having to travel too far away. For a foreigner, the interesting thing about this region is the density of medieval castles hidden in the forests. Kokorin, Houska or Bezdez are the ones you should definitely visit. And of course, the Machovo lake surrounding landscape that inspired the famous Czech poet to write one of the most romantic pieces of poetry, the Máj. We started this listicle with Prague, so it makes sense to finish with Brno. It is considered to be the capital of Moravia, the eastern part of the Czech Republic and the second largest city after Prague. Brno is the second capital in many ways. It has the second largest university, many historical and cultural treasures, festivals and venues. The people around here are, in a way more friendly than in Prague and yet the cafés, the nightlife, the theaters, the shopping is comparable to what Prague offers, only, of course, less touristy. 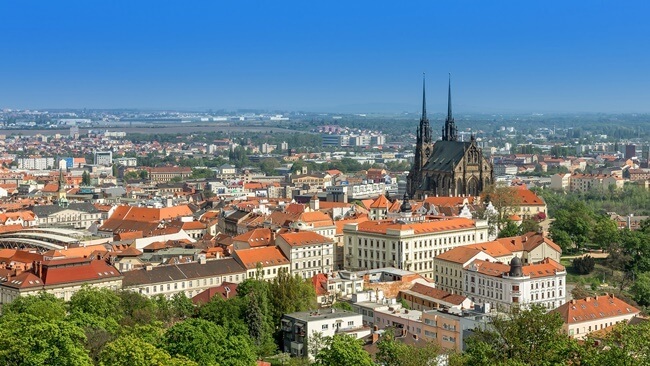 Brno is only about 2 hours by car from Vienna, so it is a good starting point for all those who want to visit the museum and opera city, but at the same time, don’t want to be consumed by the expensive and, frankly, a bit boring Austrian city for their entire stay. We recommend using the train transportation as the highways are often jammed. The trains experience can be much more pleasant, especially if you choose a train with a restaurant coach.